Are the Benefits Worth the Cost? If you are like most consumers, you may have often wondered if membership clubs who also provide insurance coverage are a good deal and if the benefits provided are worth the cost. I've considered joining membership clubs in the past and wanted to know a little more them. One of the companies I found in my search is AAA. 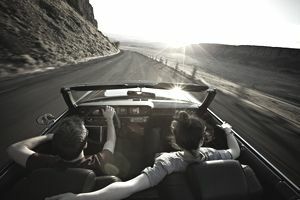 AAA is well known as a motor club with travel benefits. What you may not know is that the company is actually one of the largest car insurers in the world. If you are a consumer who is just looking for basic auto insurance and nothing else, then AAA Auto Insurance is probably not for you. However, if you like the extras in car insurance coverage, there are many attractive discounts available to club members. Whether the benefits are worth the cost of club membership depends upon how much you want from your car insurance company. Don’t automatically dismiss AAA Auto Insurance coverage before you’ve had a chance to review the discounts and other membership benefits offered. The AAA was founded in 1902 and was originally called the American Automobile Association. The AAA, headquartered in Heathrow, Florida, has 51 independent motor clubs in North America and has in excess of 51 million members. AAA was a pioneer in establishing driver safety programs, opening its first school safety patrol program in 1920. In 1947, the organization established the AAA Foundation for Traffic Safety. AAA has maintained its interest in traffic safety over its long history and was awarded the distinction by the U.S. Transportation Department in 1998 as the Clinton administration’s number one traffic safety partner. AAA provides insurance coverage to members including AAA auto insurance, homeowners, life, health, and other financial services. Only AAA club members may buy vehicle insurance. If members fall behind in membership fees, they become ineligible for coverage. These fees range from $50 for the standard plan to $100 yearly for the plus plan. You may also be required to have your car physically inspected by a representative of the company. AAA’s required limits of coverage for auto policies comply with the legal requirements of each state. Members may purchase liability, comprehensive collision, medical coverage, uninsured motorist coverage, and rental car reimbursement. Auto policy discounts are available for multi-line policy, safety features and a good driving discount. If an AAA member has an accident involving another AAA member, the $250 deductible is waived. The emergency roadside service offered to members is one of the best reasons for becoming a member. This program has a long-standing reputation for excellent and dependable customer service. The roadside assistance program is called AAA accident assistance. Members can call the national toll-free number (866) AAA-BEST (866-222-2378), to receive roadside assistance and a tow. Your vehicle is towed to a vehicle repair shop on the company's preferred provider least. AAA accident assistance will also call a family member for you, complete a vehicle claim, and arrange for a rental car while your vehicle is repair. If you are looking for a dependable emergency roadside service program, AAA accident assistance is one of the best on the market. AAA Auto Insurance has an "A+" rating with A.M. Best insurance rating organization. The company ranked third in a 2016 J.D. Power & Associates Purchase Experience Customer Satisfaction survey. The Better Business Association's (BBB) rating varies by association. There are over 50 independent associations in the United States. For members who are interested, you can also obtain home insurance and life insurance through AAA. For home, condo or renters insurance; you will be asked to complete a form with your personal information as well as your living arrangements and you will receive a contact from an agent within 24 hours or within two business days. Home, condo and renters insurance are not available in all states. For a life insurance quote, you are asked to complete an online form for a life insurance quote request. After completing the online request form, you will be contacted by an AAA representative within 1-2 business days. Drivers with new vehicles may not need or want roadside assistance or the extra discounts and feel that the membership fees are too expensive. Other comparable or better budget travel discounts are available through other programs than the discounts offered with AAA membership. There are three ways you can apply for auto coverage; at a local office, by calling (800) 222-6327, or by completing the online insurance application. Visit the AAA website for more information.